The trio Artifacts would have seemed a worthy one-off a few years ago. 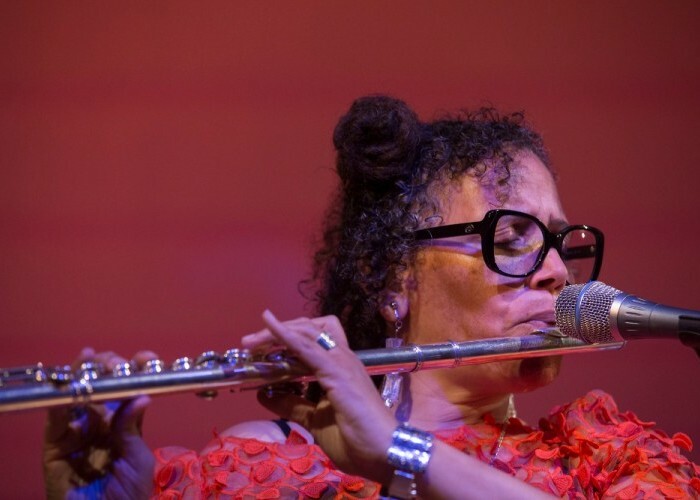 Organized in 2015 by cellist Tomeka Reid to play compositions by older members of the venerable Association for the Advancement of Creative Musicians, the group (with flutist Nicole Mitchell and drummer Mike Reed) put out an excellent album marking the organization’s 50th anniversary. 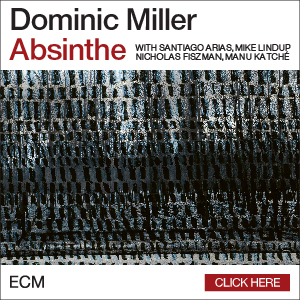 Had it ended there, it would have been a fine tribute and a worthy addition to any AACM collection. But three years later, Artifacts was in residency at the Spoleto Festival USA in Charleston, South Carolina, playing six sets in four days at the end of May. 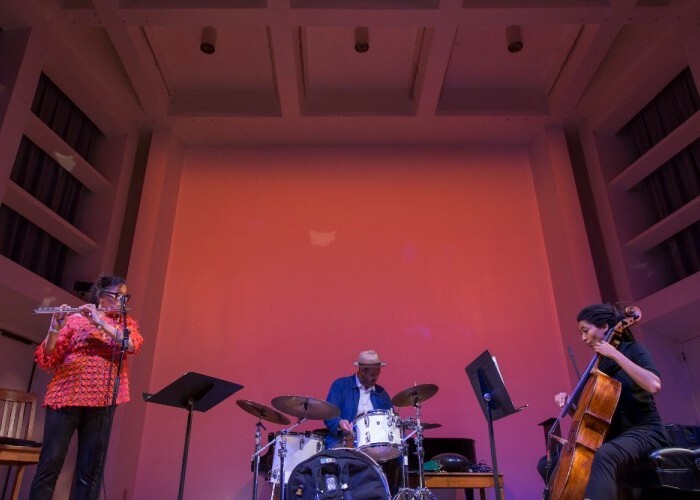 And with plans to record a second record in the fall, as well as fielding an invitation to participate in the Anthony Braxton 75th birthday celebrations being planned for 2019 and 2020, it looks as if the trio is here to stay. The Spoleto festival has built a dedicated audience with sophisticated ears. 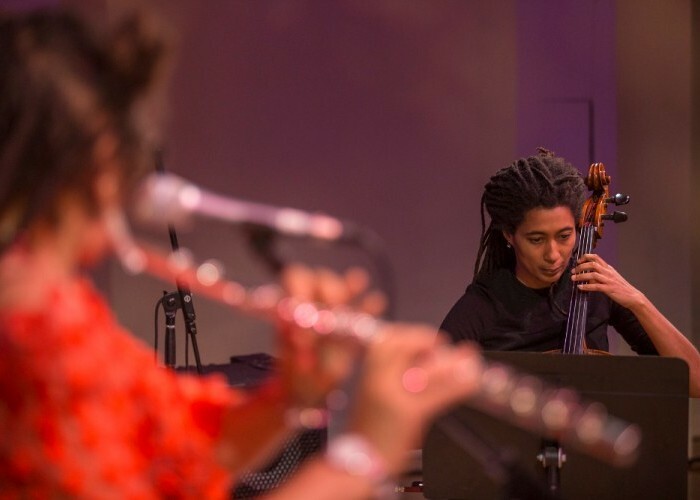 Along with classical and opera programming, the 16-day fest also featured residencies by Craig Taborn and Trio 3 with Vijay Iyer. Nevertheless, Artifacts wasn’t there to coddle anyone. The group opened its first night with Braxton’s “Composition No. 23B” (first heard on his classic Arista release New York, Fall 1974), followed by “The Clowns” from Leroy Jenkins’ 1979 Space Minds, New Worlds, Survival of America. Those compositions also appeared on their debut release, and would be repeated multiple times during the residency, along with works by Steve McCall (“BK” and “I’ll Be Right Here Waiting,” both recorded by the trio Air with Fred Hopkins and Henry Threadgill) and “Light On The Path,” an earworm-worthy tune recorded by 8 Bold Souls. But if the first night’s opening was one kind of statement, the second night was another, beginning with compositions by each of the three bandmates, before moving into familiar, archival material. While they drew a bit heavily on a three-year-old record, it was a forgivable offense. That album might be one of the most important AACM records in a generation. It certainly was one of the least expected, treating members of the venerated institution like the rest of the jazz world treats Duke Ellington and Hoagy Carmichael—that is, using their compositions as grist for their own artistic expression. Such practice would seem to run counter to a basic tenet of the AACM—that its members play their own music and support each other doing it. But the members of this trio, unsurprisingly, don’t buy the idea that what they’re doing is less than keeping with AACM tradition. Drummer Reed has made his mark on the Chicago scene, not just as a player but as founding of the Pitchfork Music Festival, programming chairperson of the Chicago Jazz Festival and owner of the venues Constellations and Hungry Brain. He held the AACM’s own banner up as evidence of Artifact’s allegiance to the faith. Mitchell was quick to reject the suggestion that the trio is trying to make the AACM catalogue into jazz standards but Reid—who played concerts in London, New York and Philadelphia as a member of the Art Ensemble of Chicago last year and has appeared in Braxton’s groups—interjected. Playing several days in the same room—a rarity these days for most jazz musicians—gave them a chance to try new things. Mitchell took an unaccompanied introduction for one tune and later dropped it. During a couple of sets, they crafted a beautiful segue between the Jenkins and McCall works, with Reed playing an oversize, metal mbira and then taking a solo during the second piece. Asked if there was any special consideration given to soloing during a Steve McCall composition, Reed grew reflective.